Creating plumbing and piping plan with free templates and examples. Making plumbing and piping plan has never been easier. Plumbing and piping plan clearly shows the location of fixtures, pipes, and valves. When designing a house or a building you need to take consideration of the plumbing and piping factors. A good plumbing and piping plan will surely make your life much easier. With our quick-start plumbing and piping templates in our software, you can easily and quickly make plumbing and piping plan. 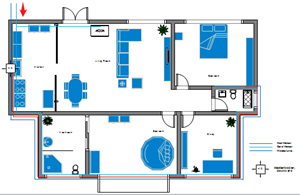 You never expect that drawing plumbing and piping plan could be so easy which requires neither previous experience nor professional knowledge. 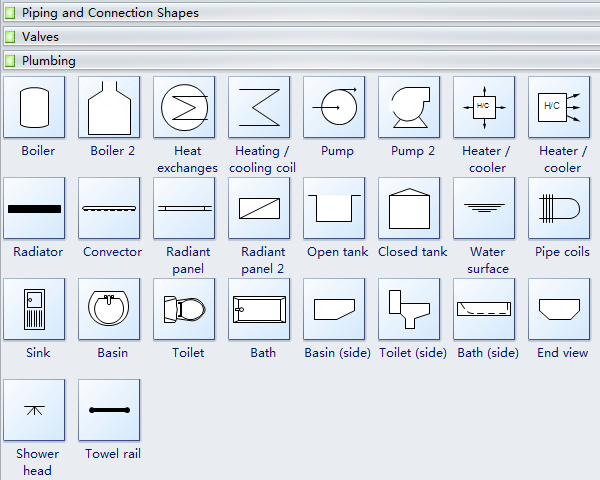 Edraw provides exhaustive plumbing and piping plan symbols, such as boiler, heat exchanges, pump, heater/cooler, radiator, convector, etc., which you can just drag and drop to your drawing page. You can also rearrange the location of these symbols until you are satisfied. This fast and easy software allows you to create good-looking and professional plumbing and piping plans in minutes. 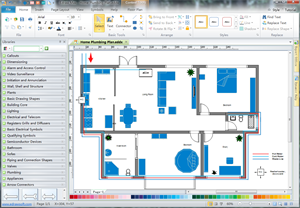 Download plumbing and piping plan software and view all examples for free. 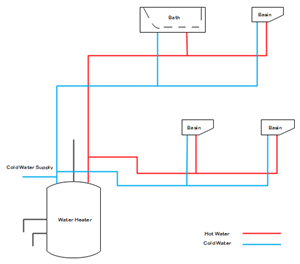 Edraw plumbing and piping plan templates offer you many commonly-used plumbing and piping symbols like boiler, heat exchanges, pump, heater/cooler, radiator, convector, open tank, closed tank, pipe coils, sink, basin, bath, shower head, towel rail, etc. With pre-drawn libraries and so many vector plumbing and piping shapes, you can design plumbing and piping plans super easily! A simple home plumbing and piping plan example is ready to use in vector format for your own designs. A residential plumbing and piping plan template is ready to use in vector format for your own designs.